Posts for fences up to and including 3.0m are manufactured from 60x60 SHS and posts for heights in excess of 3.0m are manufacture from 80x60 RHS. Heights in excess of 2.40m are achieved by using suitably sized panels to attain the desired height, using the Multi Lift Principle, which involves positioning one or more panels above the base panel. The method of installation for both standard and Multi Lift Paladin remains the same, with posts positioned at 2.975m centres for 'Classic' and 3.0m centres for 'FX'. Paladin Classic Mesh Fencing has a full length clamp bar passing through the formed "V" beams and the bolts are inserted to secure both the clamp bar and the panel to the post. This creates a neat and tidy secure method of installation. 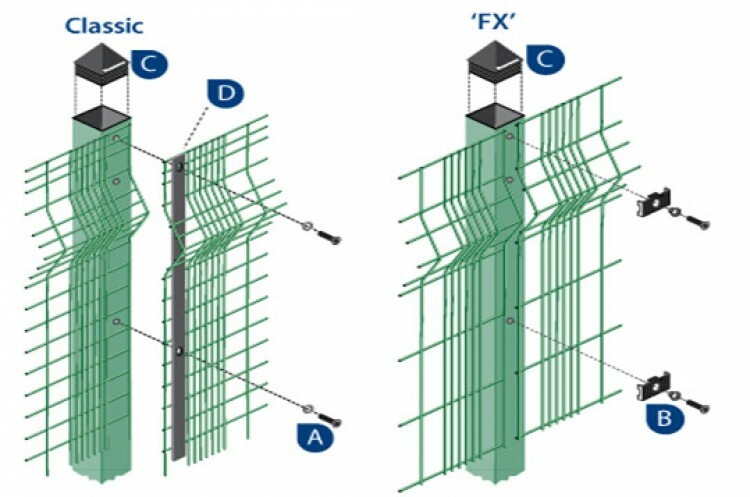 Paladin FX Mesh Fencing has individual clamps retaining the panel. A. M8 x 40 Button Head Trilobe bolts are used for fixing full length clamp bar - Paladin Classic Only. B. M8 x 35 Button Head Trilobe bolts are used for fixing individual clamps - Paladin FX Only. C. Plastic cap Paladin Classic and Paladin FX. D. Clamp Bar - used to secure panel against post - Paladin Classic Only. When an additional panel is fixed at high level, a 100mm overlap is also required over the panel below and the two panels are securely fastened together by means of stainless steel clip. 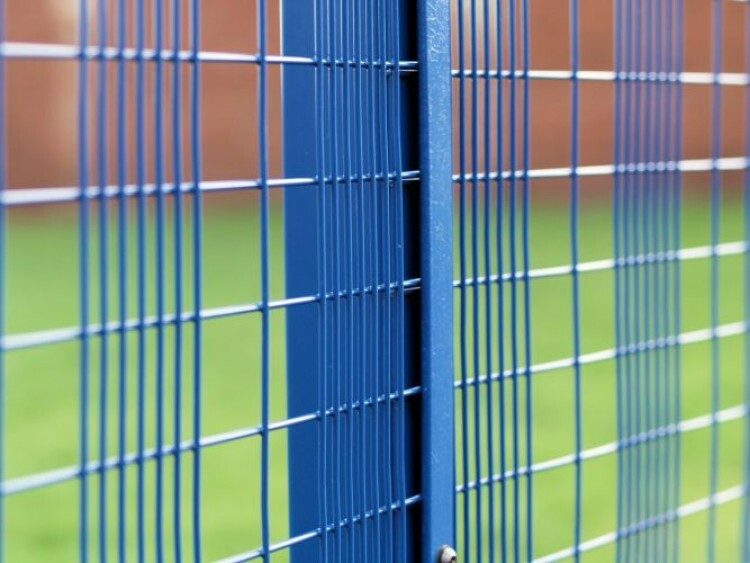 A full range of gates are available to match the fencing system, and automation and access control packages are available to enhance the functionality of this fine product. Paladin Fencing System is a registered UK design no. 1019668.